Last week I attended “InterActivity,” the annual conference of the Association of Children’s Museum (ACM). This was my first ACM conference, and I learned a great deal from presenters and colleagues. I was impressed by the organization of the conference, ACM staff’s attention to the needs of each conference attendee, and the challenging questions posed by ACM Executive Director Laura Huerta Migus. The theme of this year’s conference was “Collective Impact,” and included a 7-hour experience entitled “Collective Impact Live!” Collective Impact Live included a session at Norwalk City Hall, followed by a visit to the conference host museum, Stepping Stones Museum for Children, which has been actively working with its community on a citywide project using the collective impact model. The session at Norwalk City Hall was entitled “A Special Town Meeting: Children’s Museums and the Achievement Gap.” This session attempted to teach ACM members about, and engage them in, the collective impact approach to social change, in particular social change relating to K-12 education. It took the format of a historical New England Town Hall, including guest experts who spoke on topics related to the achievement gap and panelists who asked questions of the speakers. The three-hour session ended with a vote on a resolution to engage ACM members in closing the achievement gap. I have two concerns about this session, and the culminating resolution. My concerns are with the highly-popular collective impact approach to collaboration, and with designating the collaborative goal as closing the achievement gap, as defined by school-based skills and tests. I elaborate on both of these concerns below. [Collective Impact is] the commitment of a group of important actors from different sectors to a common agenda for solving a specific social problem. Collaboration is nothing new. The social sector is filled with examples of partnerships, networks, and other types of joint efforts. But collective impact initiatives are distinctly different. Unlike most collaborations, collective impact initiatives involve a centralized infrastructure, a dedicated staff, and a structured process that leads to a common agenda, shared measurement, continuous communication, and mutually reinforcing activities among all participants. 1. 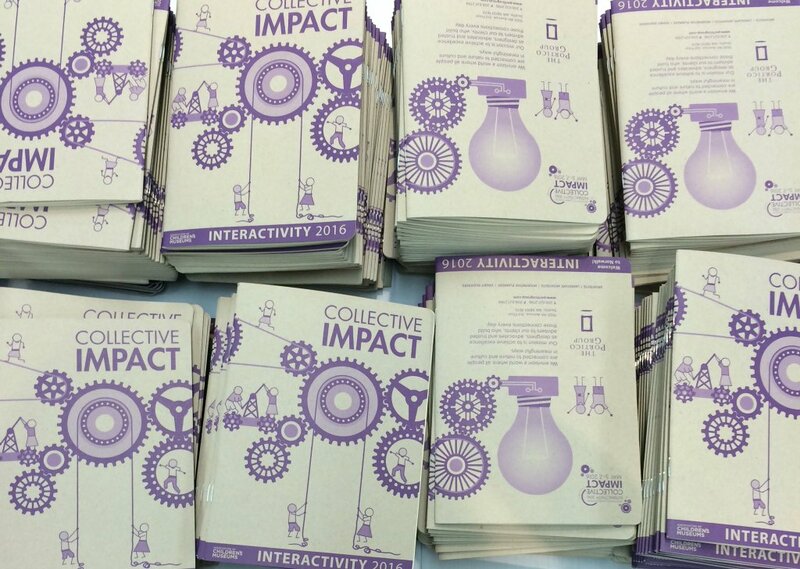 Collective impact is a top-down process, engaged in bringing businesses and business leaders together. It engages community organizations in collaboration, but does not mandate collaboration with “those most affected by the issue.” It engages the powerful, but not the powerless. I was struck by the contrast between the InterActivity panel and a panel on community engagement at the National Art Education Association museum pre-conference this past March. At the March event, the panel included a teen participant, as well as a community member who was both the mother of a participant and who felt her own life had been impacted by an early visit to a museum. The InterActivity Town Hall had some wonderful speakers, but they were all either representatives of non-profits and school systems or academics engaging in related research. 2. Community impact is committed to figuring out how to achieve a goal within the current system. It does not challenge this system, or consider larger systems change. To my mind, to achieve true educational change in the United States requires systemic change. We need a massive shift of funds from affluent schools to poorer school districts. We need expensive social service supports in place to ensure the stability and health of families and children. Until the United States ensures that low-income families have stable and livable homes, work for parents, child care for younger children, and medical and dental care for these families, it will remain nearly impossible for many children to focus on school work and demonstrate the full academic achievement of which they are capable. The term “achievement gap” is often defined as the differences between the test scores of minority and/or low-income students and the test scores of their White and Asian peers…. Differences between the scores of students with different backgrounds (ethnic, racial, gender, disability, and income) are evident on large-scale standardized tests. Test score gaps often lead to longer-term gaps, including high school and college completion and the kinds of jobs students secure as adults. 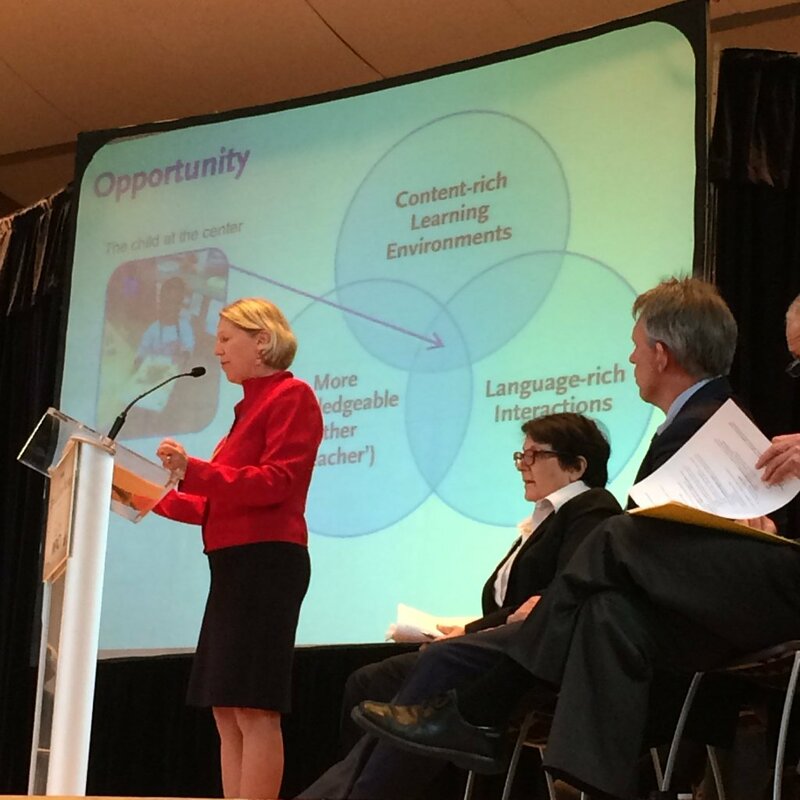 The achievement gap is defined by test scores, which are primarily reading and math tests. They do not measure (nor do they claim to measure) the types of impact that children’s museums are likely to have on young visitors. Children’s museums are arguably most effective at stimulating curiosity in children. 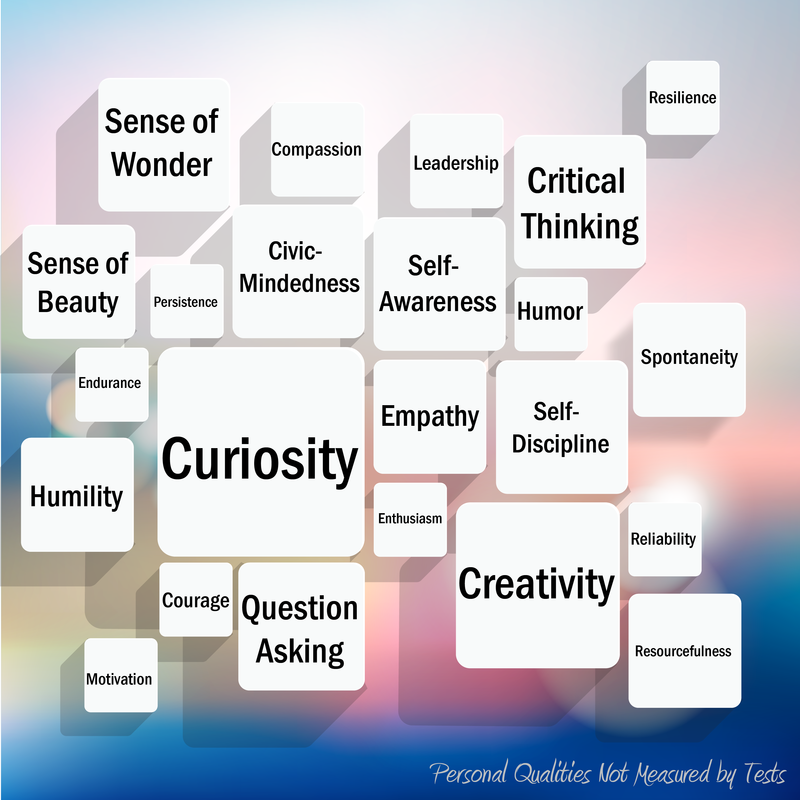 Much of the school curricula, as well as these tests, are currently designed to engage all students in the same topic, regardless of individual interest or curiosity. Children’s museums are also effective in engaging children in productive collaboration; standardized tests are always independent. -Tests funnel significant amounts of education funding toward the large companies that create tests and test preparation tools. -Tests narrow the school curriculum to focus on test preparation. This often results in schools that focus on “basic skills” (reading and math) at the expense of the arts, visits to museums, and teaching children to think for themselves. The resulting schools follow a curriculum that parents with significant means would never accept for their own children. -Standardized tests are used to hold teachers accountable, judging them their students’ scores despite the fact that these test scores are highly correlated with the income and education of parents. -The emphasis on testing precludes more careful thought about the purposes of education, mandating that schools cultivate students who score well on standardized tests, rather than raising students who are curious, civic-minded, original thinkers, have a larger range of job skills, or other potential educational goals. ACM’s “Special Town Meeting” defined closing the achievement gap as a “common agenda.” But this is an agenda set by federal and state education departments, not by community members. Large-scale collaboration around a common goal should engage the community in a broader conversation about what a healthy childhood looks like, and what our larger goals are for raising children in our society. I have two kinds of problems: the urgent and the important. The urgent are not important, and the important are never urgent. Ending the achievement gap could potentially prove counter-productive: one could have a group of students who do well on standardized tests but never have the opportunity to develop curiosity or wonder about the world, think or advocate for themselves, or discover what they love to do. Creating a more equal society demands that we think beyond “the achievement gap” and create educational and cultural opportunities for all children that engage them as thinking and feeling individuals who have something to discover from and contribute to the larger world. When museums focus on the achievement gap they are addressing an urgent problem, but not necessarily an important one. The important problem is equity – how can museums, and all of us individually as citizens, help ensure that all students have the resources and opportunities they need to live happy and productive lives in a truly equal society? ← How can museums share progressive ideas with culturally conservative visitors? I really connected with what you wrote in this article. I don’t think that museums are responsible for closing the “achievement gap” as such. We do a lot to educate and stimulate people but we also learn from the people that visit us in return. I do think that we can connect more with communities, make museums accessible to families that may not have the money to come for a visit and we can tackle some of the social justice issues out there that others are afraid to tackle. I also like Ed Rodley’s idea of the museum acting as a “Contact zone ” for exchange between groups that might not normally come together or who have opposing views on a range of issues. I also like the fact that museums can tell people’s stories and that that story may impact on the lives of others. I like the fact that museums are a fun place to learn and that many of our resources are freely available on the internet but you are so right on the “Maslow” issue – if people’s lives are in turmoil, it’s so hard to rise up, and visiting a museum is probably the last thing on your mind.